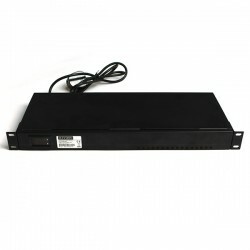 12Vdc 16Ch Rack Mount PSU 16 Amp PTC Fused 1U. Pk Size 1. 12Vdc 8 Ch Rack Mount PSU 8 Amp PTC Fused 1U. Pk Size 1. 16 Channel 10A Camera psu complete with Output for Monitor & DVR Providing UPS Facilty for Whole System using 2 x 7AH Batteries. Pk Size 5. 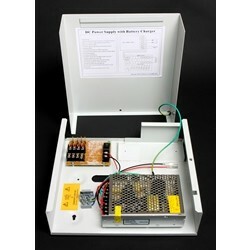 8 Way Boxed PSU 5 Amp PTC S/P and 7ah Battery Backup Space. Pk Size 6. 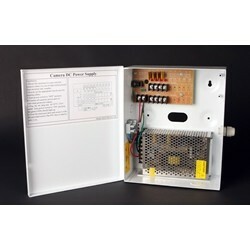 16 Way Boxed PSU 20 Amp PTC Fuses Surge Protected. Pk Size 8. 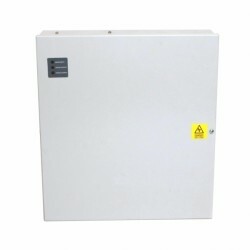 16 Way Boxed PSU 10 Amp PTC Fuses Surge Protected. Pk Size 8.